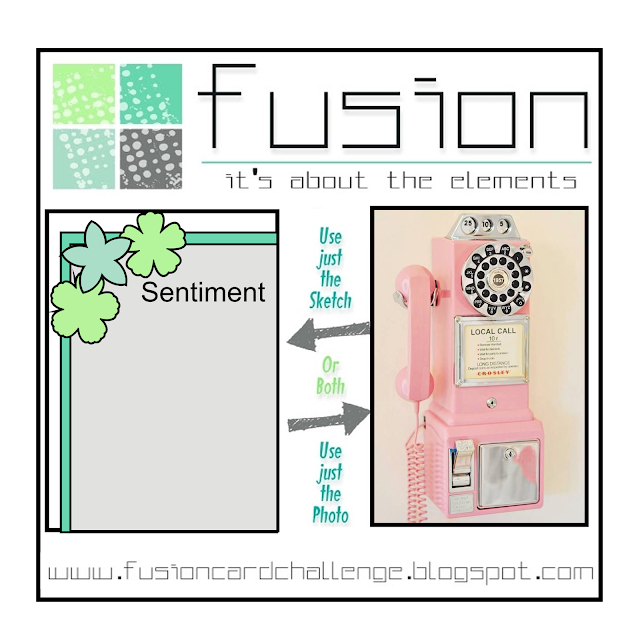 Beautiful take on the sketch and color palette, Karren! 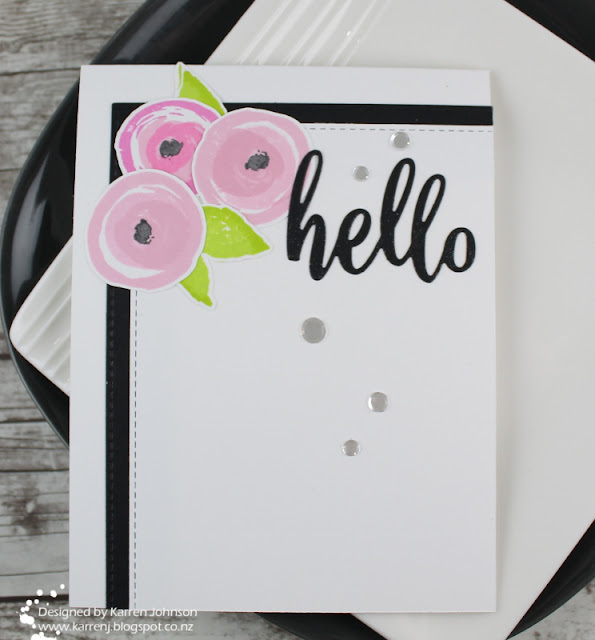 Love your choice of flowers and all those pretty shades of pink...A lovely CAS card! This is gorgeous~so crisp and clean! Love the bright pink blooms with the black as an accent! Very stylish! Love those modern blooms! 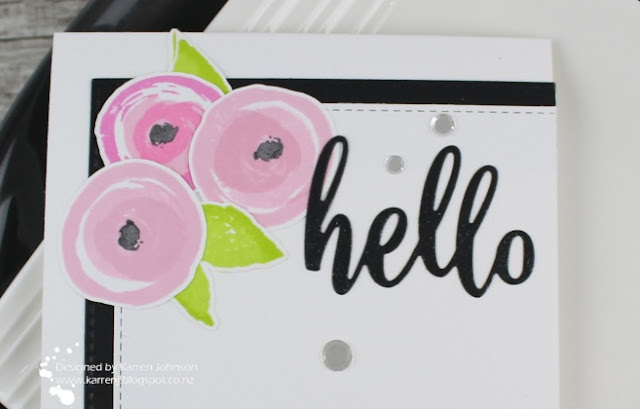 They look fabulous in pink and the bold black sentiment is a great accent!